Barever is a Natural Hair Inhibitor and it works in tandem with your hair removal methods as the follicle pores are opened during that time which helps better penetration into the skin. The potent formula of Barever seeps into the opened pores and reduces hair growth by inhibiting the activity of hair follicle cells. 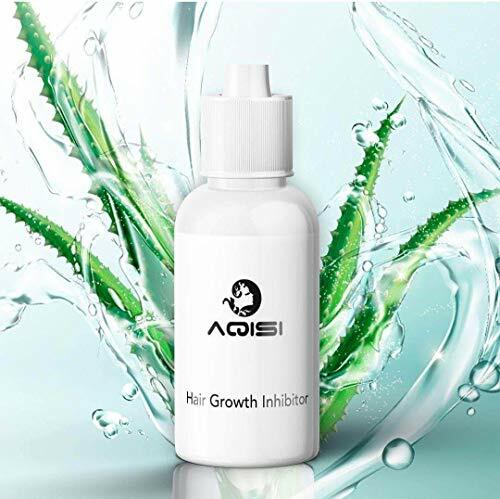 Acting at the Anagen stage of active growth phase for hair follicles, Barever first slows down the formation of new hair at root level and then reduces the density and thickness of hair. It gently stops the growth of hair by naturally making them weaker, thinner and finer and results into a soft, silky and smoother skin for longer period. After using barever together with 3 sessions of your hair removal method, you will start noticing the results with the reduced hair growth. As far as safety is concerned, you will be delighted to know that Barever is formulated with ingredients derived from plants which make it 100% Natural, Safe and effective. The only side effect which you will have with Barever is that body hair growth will be reduced but that is also the main effect for which you shown trust in Barever.Barever should be used just after your current hair removal method for twice a day for next 5 days or until the sight of hair growth on the skin. Barever works best with your all hair removal methods which remove hair from the root like Hair Removal Cream, Waxing, Sugaring, Threading or Laser Hair Removal. 1. Remove hair from desired area with your regular hair removal method. 2. Take enough quantity of barever and apply on that area. 3. Massage gently until barever is absorbed inside skin. 4. Use twice daily for 5 days after every hair removal session. 5. If you use hair removal cream then use barever twice daily. kindly not this is the Indian manufacture product. 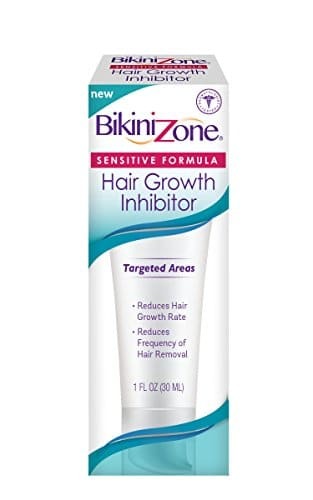 Keep hair away after you shave with Bikini Zone Hair Growth Inhibitor! This inhibitor uses a sensitive formula to target and inhibit hair growth. This inhibitor both reduces the rate of hair growth and the frequency of the removed hair returning. Hair density can be reduced as much as 45%, and hair length can be reduced up to 35%. This unique formula is made of moisturizing agents like vitamins A, E, & D that condition skin and leave it hydrated, soft, and smooth. The formula also contains larrea divaricata extract, a proven hair regrowth moderator that slows down cell growth rate and reduces redness. Comes with one 1 oz. tube. Consumers can expect the highest level of expertise and standards from Bikini Zone. Bikini Zone enables woman to achieve smooth results and feel confident in their (smooth) skin. Bikini Zone is the first and only brand dedicated to providing woman with solutions to the irritation, redness, and ingrown hairs associated with shaving or waxing. Keeps hair away after you shave! ▶No risk of skin injury! ▶We offer body hair removal products which give smoother, longer lasting results than shaving. ▶Before the shower,apply the cream evenly so that it covers the hair to be removed. cream left on for 3-8 minutes(depending on hair texture) with the possibility of extension up to 10-20 minutes if your hair is not damaged. ▶Cream removes the shower with towel or cotton pads, washing the area with effectively removes unwanted hair, leaving your skin smooth and moisturized. ★:We offer body hair removal products which give smoother, longer lasting results than shaving. 1.Extrusion in the need for hair removal hair removal cream,the mount must be to be enough. 2.Apply the paste to determine the thickness completely covered with hair. 3.Wait 5-8 minutes,the hair is open it has changed. 4.Scrape with the scraper against the direction of hair root scraping the effect on out. 5.After hair removal,rinse with water,but also with the use of skin repair water. 2.Please place in a shade place and avoid high temperature and direct sunlight. 3.If you have sensitive skin before you use, you should try behind the ear in case there is an allergic reaction / red spots, or have a itchy / burning sensation, please do not use any more. 4.Avoid using a dry cloth or hand hard rub, so as not to damage the skin and close the bottle after use and store at room temperature. If stored at a low temperature, crystals may form,keep the product out of the reach of children. 1.Hair Removal Cream is suitable for use on the chest, back, shoulders, arms, underarms and legs and leaves skin smooth for longer than shaving, with no razor rash or prickly regrowth. 2.First in the hair removal parts with a wet towel moisturizing, apply the product (about 2mm thick) evenly to the hair removal site. Wait 5-8 minutes (depending on the thickness of the hair) and then use a towel along the hair in the opposite direction gently wipe, and then clean with water. 3.For hair removal on all body parts. 4.Developed for all types of skin.Contains moisturising Cocoa Butter, excellent for dry skin. Large fixed roller head is ideal for leg waxing. Provides a thin, economic and hygienic application. 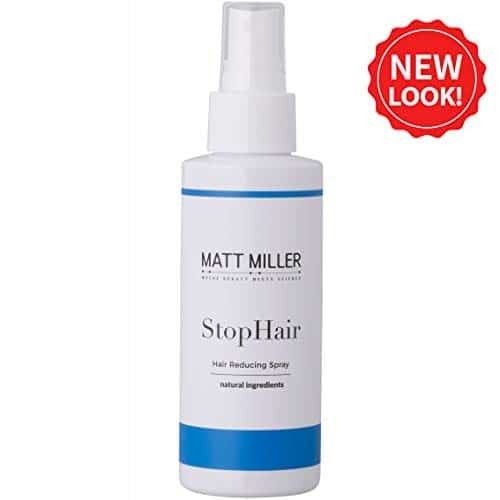 ALL NATURAL & NO FILLERS: Den of man Hair Growth Inhibitor spray is made from all natural plant-derived extracts which are safe to use on your skin. It do not contain any harmful chemicals or paraben or alcohol. LASTING RESULTS: Den of Man Hair Growth inhibitor spray is guaranteed to offer you lasting results after waxing, shaving, laser treatment, using any remover cream or lotion, or any other epilation or depilation methods. 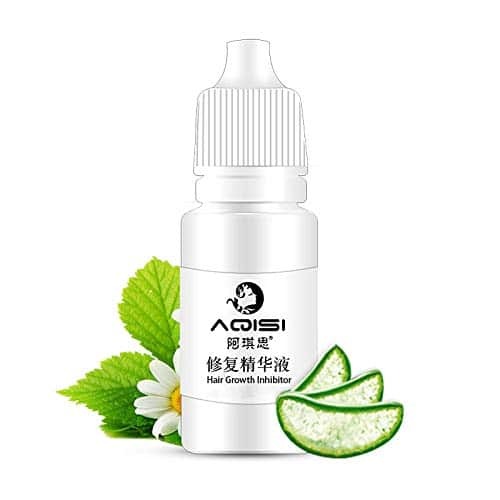 【YOUR SKIN】Hair Removal Cream is suitable for use on the chest, back, shoulders, arms, underarms and legs and leaves skin smooth for longer than shaving, with no razor rash or prickly regrowth. 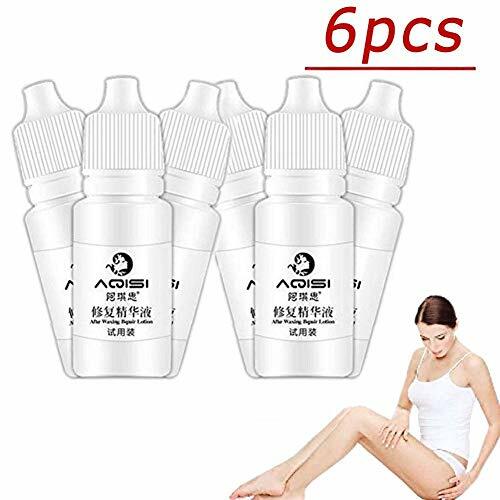 【EASY TO REMOVE】First in the hair removal parts with a wet towel moisturizing, apply the product (about 2mm thick) evenly to the hair removal site. Wait 5-8 minutes (depending on the thickness of the hair) and then use a towel along the hair in the opposite direction gently wipe, and then clean with water. 【RECOMMEND】Avoid using a dry cloth or hand hard rub, so as not to damage the skin and close the bottle after use and store at room temperature. If stored at a low temperature, crystals may form,keep the product out of the reach of children. LARAMAX – Natural Hair Regrowth Inhibitor, Reducing Facial & Body Hair Regrowth After Shaving, Epilation, depilatories and Wax. IMMEDIATE DELAYS OF HAIR REGROWTH – LARAMAX effect is instantly noticeable after first use, leaving your skin silky smooth for longer periods of time. 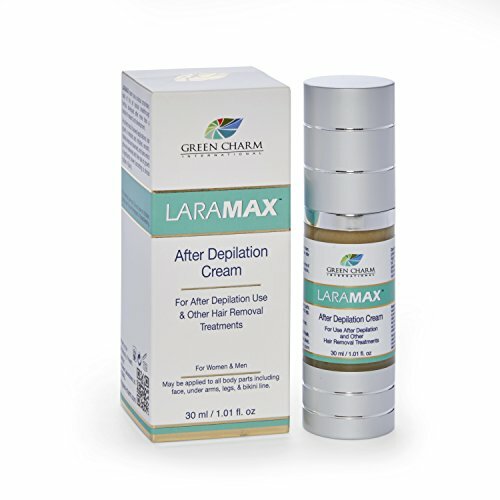 NATURAL FORMULA – LARAMAX AFTER DEPILATION CREAM has a unique proprietary state of the art formula, with the primary active ingredients being 100% vegetative sourced. OVER 50 INGREDIENTS – containing natural Almond & Avocado oils, essential oils from Lavender & Geranium, herbal extracts from Hamamelis Virginiana, Mallow & Chamomile, natural ionic materials from the Dead Sea, plant enzymes and fruit acids, disinfecting extracts & oils from Myrrh, Eucalyptus & Rosemary, Aloe Vera & Allantoin for skin regeneration and a calming effect. A SINGLE SOLUTION TO ALL PARTS OF THE BODY – LARAMAX may be applied to all body parts including the face, underarms, legs and bikini line. Effective after all types of hair removal treatments, for women and men. 100%, NO QUESTIONS ASKED, MONEY BACK GUARANTEED – If, for any reason, you do not like the product, return within 30 days and we will issue a full refund no questions asked. 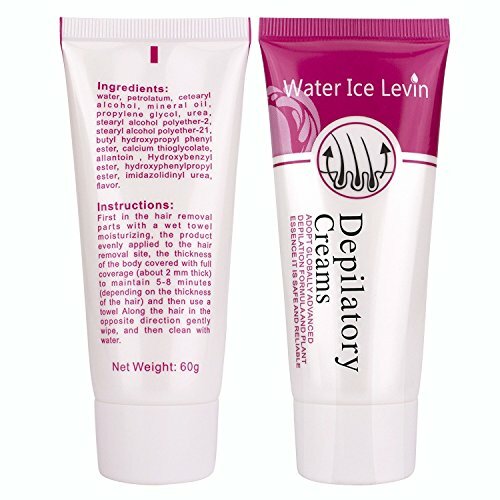 Posted in Depilatories | Tagged After, Body, Depilatories, Epilation, Facial, Hair, Inhibitor, LARAMAX, Natural, Reducing, Regrowth, Shaving, Wax.